Mornning Side is an old now unused colonial German settlement more than 100 years old. The tour starts from the office vand goes via Towelo and Ruvuma villages and continues to Morning Side. 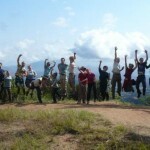 The tour with panoramic view over the farming land and Morogoro town. It is 3 hours each way. 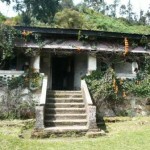 See Kiswanvil, the view point at Kisosa on the way to Morning Side via Choma. There is a wonderful view over Morogoro town - 270 degree view at 1500m. 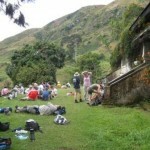 The trip can be also be done as a single tour - 6 hrs to and from Morogoro town.